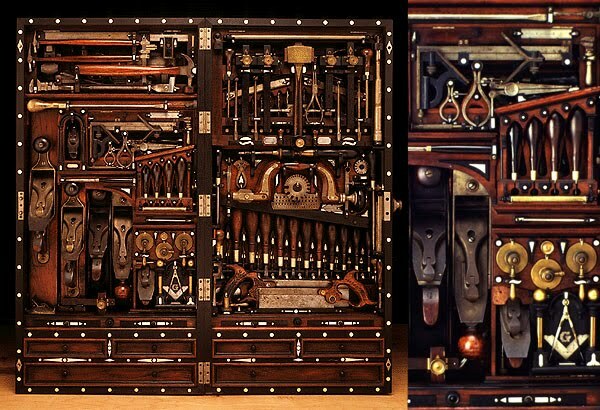 A peak inside this magnificent tool cabinet, thanks to a video made by Norm Abram (and the person on the Old Tools Forum who posted the link). Norm shows off the interior here. Thank you to Dean, who posted this link in the comments section, where you can read more about the tool chest.